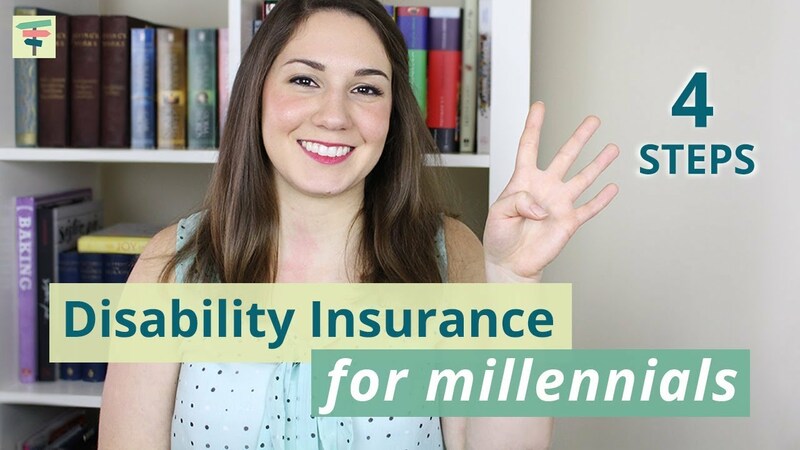 For millennials, long-term disability insurance might be the most important decision in their life. The average 25-year-old has $1.75 million in human capital to protect. I outline the various sources of income you can receive if you become disabled and how to protect yourself by getting an appropriate amount of coverage. Government-enacted Workers Compensation, like WSIB in Ontario: WSIB covers workers whose employer is required to register with the WSIB and when their injury or illness that requires health care is directly related to their work. CPP Disability Benefits: disability benefits are available to people who have contributed to CPP for at least 3 to 4 years, are under age 65, and have a severe and prolonged disability. Severe means that you have a mental or physical disability that stops you from doing any type of substantially gainful work and prolonged means that your disability is long-term and of indefinite duration or is likely to result in death. EI Sickness Benefit: if you cannot work because of sickness, injury, or quarantine, you could be eligible to receive up to 15 weeks of EI sickness benefits. Provincial Government: The Ontario government has their Ontario Disability Support Program (ODSP) to offer disabled individuals with income support. ODSP takes into consideration the household’s housing and shelter-related costs, any money coming into the household, and all assets that belong to members of the household. Depending on what your income was before a disability, government plans may only pay a small portion of your previous income. It also may be more difficult to meet their tests for disability than a group or private disability insurance plan and can be restrictive when determining financial need. Emergency Fund: An emergency fund might cover a shorter-term disability, but if you become disabled for longer than 3-6 months, your emergency fund will dry up very quickly. Other Assets: depending on the assets you own, you may be able to dip into these to cover income while suffering from a disability. Eating into your retirement assets should be avoided, because whether you are still disabled or have recovered by retirement, you will still need income when you do retire or when most disability benefits stop at age 65. Part-time work: when you become disabled, you may still be able to work – at reduced hours, lower requirements, etc. Group Disability Insurance: If your employer offers health benefits, you very well might be a part of a group disability insurance plan. Your employer may be paying the premiums, or you might pay them through deductions from your paycheque. Long-term group disability plans are often a fantastic base for your disability coverage. They may be limited, without the ability to change the characteristics or premiums, but they’ll cover you for the worst-case scenario. Private Disability Insurance: The final source of income you can receive when you’re disabled is through a private disability insurance plan. These plans can be set up to meet your specific needs. The better the coverage, the more the premiums will cost. When looking at group and private disability insurance plans there are two key definitions. The first is “any occupation”. An any occupation plan means that you are considered disabled if you are unable to work at any occupation for which you are qualified by education, training, or experience. This could lead you to be denied benefits if you cannot work in the particular job you had prior to the disability, but could still work in another reasonable job, typically earning at least 50-60% of your previous income. On the other hand, if you have “own occupation” insurance, you have to be able to return to the same job as before. Otherwise, your benefits, or at least a portion of them, will continue to be paid. The higher the income you earn, and the more specialized your position, the higher the need for own occupation insurance to maintain your current income and lifestyle. There are many variations of coverage when it comes group disability insurance plans. Many will offer own occupation disability coverage for the first two years, then any occupation coverage thereafter. Most disability plans will also include integration of benefits. This means that if you receive benefits under CPP, worker’s compensation, part-time income, etc. the insurance company will reduce their payments so that you are only eligible for a maximum total income. This maximum might be the amount of disability coverage under the plan or it might be 70 or 85% of your pre-disability income. Since each plan is different, you’ll need to determine what the restrictions are with any plan you currently have or are considering. The main reason behind these maximums are so that you are never in a better position financially with a disability than prior to the disability (insurance companies want to encourage you to get better and stop your disability insurance payments). The best way to do this is to refer to the budget I discussed in my making informed decisions video. Essentially, you want to determine your main expenses and make sure you can cover those if you were unable to work due to a disability. To be safe, you’ll want to also consider the amount of savings you’ll need to continue put away for retirement. Most disability insurance plans stop at age 65, so if you become disabled early and don’t recover, your retirement savings may be insufficient. Also, not incorporating retirement savings puts more pressure on future you to make up the difference, including compound returns. Let’s say you need $6,000 per month after-tax to cover your expenses and savings. Let’s say you have group coverage for $4,000 / month. Your coverage is own occupation for the first 2 years, then any occupation thereafter. When it comes to group coverage, you need to figure out whether that $4,000 benefit is taxable, or tax-free. If your employer pays for the regular premium, it will be taxable. In Ontario, the after-tax value of this disability benefit would be about $3,300. If you pay for the premium, even if it’s automatically deducted from your paycheque, it will be tax free, so you receive the full $4,000. For this example, we’ll assume you pay for the disability insurance so you receive $4,000 in after-tax disability payments. Step 3: Calculate The Shortfall in Your Disability Coverage. Since your group plan will pay $4,000 per month, and your have cash outflows of $6,000 per month, you have a shortfall of $2,000 each month if you were to become disabled. You can either reassess your expenses, or more realistically, get private insurance that will cover the difference. You can also look at getting private insurance so that you are covered for own occupation after the 2-year limit on the group plan. There is often a waiting period for long-term disability – 90 or 120 days for example. A short-term disability plan and EI sickness benefits may cover some or all your expenses during this time. However, it may take some time to process the disability paperwork and be paid by these plans, so if you have a 3 to 6-month emergency fund, that will cover your expenses during the long-term disability waiting benefit.